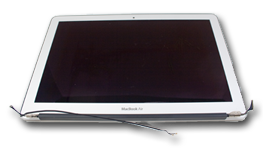 We offer an LCD repair service for the MacBook Air 11" and 13" released in Late 2010 through 2015. *By sending in your MacBook Air Display, you agree that the LCD you are sending is defective and not some other component. You will be responsible for shipping charges if no fault was found.